An analysis of Unitarian Universalist civil rights activism in Selma, Alabama, in 1965. Reviews the history of racial justice in the denomination in the prior decades and explains how Selma became a turning point. The foremost scholar of African-American Unitarian Universalist history presents this long-awaited analysis of the denomination's civil rights activism in Selma, Alabama, in 1965. Selma represented a turning point for Unitarian Universalists. In answering Martin Luther King Jr.'s call to action, they shifted from passing earnest resolutions about racial justice to putting their lives on the line for the cause. Morrison-Reed traces the long history of race relations among the Unitarians and the Universalists leading up to 1965, exploring events and practices of the late nineteenth century and first half of the twentieth century. He reveals the disparity between their espoused values on race and their values in practice. And yet, in 1965 their activism in Selma—involving hundreds of ministers and the violent deaths of Rev. James Reeb and Viola Liuzzo—at last put them in authentic relationship with their proclaimed beliefs. 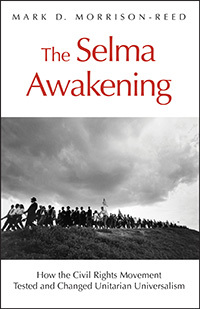 With rigorous scholarship and unflinching frankness, The Selma Awakening provides a new way of understanding Unitarian Universalist engagement with race and offers an indispensable new resource for anyone interested in UU history. For Unitarian Universalism, whose most progressive elements had long been champions of freedom in its broadest sense, Selma was a test. Did freedom merely mean freedom of belief and conscience? Or did it also include the civic, political, and economic freedoms that the educated, middle-class, liberal religious constituency took for granted? Was this not a struggle for a nation’s soul? Did commitment mean passing yet another earnest resolution? Or might it include placing one’s life at risk, as did the white Unitarian Colonel Robert Gould Shaw, who died leading the all-black Fifty-Fourth Massachusetts Volunteer Infantry Regiment into battle during the Civil War? And what of the UUs who answered King’s call? Unitarian Universalists responded, but why they did remains to be analyzed. What was Selma’s impact on Unitarian Universalism? In a decade when voting rights have re-emerged on the U.S. agenda and immigration, reform has become our most pressing national human rights issue, we need to answer these questions and draw lessons from the experience. That is what this book attempts to do. In this book, Morrison-Reed places the iconic moment of Selma in the larger context of Unitarian Universalism. Within this larger frame, he both accentuates the importance of participation in Selma, highlights all that could have happened—and delineates what did not. By showing how UU participation was NOT inevitable, he underscores the significance of that participation while placing it in a proper scale with the other commitments and non-commitments made in the arena of race relations. An essential read for anyone continuing the struggle to embrace the need for continued racial justice work today. The Selma Awakening offers soul-stirring insight into the amalgamation of forces that allowed Unitarian Universalists to be courageously present at a moment when risking everything mattered so much. Personal stories are interwoven with historical details to provide a nuanced and unflinching narrative of who we are. Readers will be left with haunting questions about our current capacity to live our espoused values with the sacrifice and humility required to minister to our world and save the soul of our faith. As I read Mark Morrison-Reed's The Selma Awakening, I found myself shedding tears as I relived the events of 1965. Unitarian Universalists, civil rights activists, anyone alive in those turbulent times, and those yet to be born will find themselves caught up in these vivid recollections of those critical days. The book includes insights, anecdotes, and personal stories—and it acknowledges for the first time key contributors to the success of the march from Selma to Montgomery. In particular, the section on women and the march elaborates on the under-reported story of women in the struggle for civil rights, and the broader ongoing struggle for women's liberation. Perhaps this book has been waiting for a scholar who identifies as both African American and Unitarian Universalist to do the diligent research required and bring the story of Selma to light. Mark Morrison-Reed has produced a magnificent book that provides so much depth, background, tears, and hope. It will have a profound impact on our ministers, congregations, boards, and denominational committees. It is inspiriting and needed! Here is the first full, nuanced story of Unitarian Universalist involvement in the Selma voting rights campaign. Mark Morrison-Reed gives a detailed recounting of the events of 1965, and much more. He also tells of the preceding issues and faltering forward steps leading to our participation, and the tensions in Unitarian Universalism deriving from hundreds of ministers and lay people being radicalized by their involvement. Both our achievements and our limitations are clearer by the final page. Those of us who are concerned about the UUA's future should resolve to integrate Mark Morrison-Reed's impassioned scholarship in recounting our Selma past into our lifetime learning curricula. Young and old alike must read and deeply reflect on the content (including footnotes) of this amazing book. Selma changed the United States, and Selma changed Unitarian Universalism. Mark Morrison-Reed tells the story in exquisite detail, tracing the hundred-year history and the interdependent web of relationships that led hundreds of Unitarian Universalists to march for justice in Selma. In a work of scholarly depth and heartfelt passion, Morrison-Reed gives voice to both his admiration for the achievements of Unitarian Universalists and his anguish at our shortcomings, inviting all of us align our values in practice with our espoused values. Mark Morrison-Reed's engaging study of two liberal religious traditions' responses to Selma and the civil rights movement deftly excavates the gap between their espoused religious values and lived-out practices. Along the way, Morrison-Reed uncovers untold stories, eyewitness accounts of James Reeb's murder and its aftermath, sermons, articles and actions that trace a shift in thinking among Unitarians and Universalist ministers, lay people, and denominational leaders. This is a long needed and carefully researched contribution to American religious history.